Amnesty International submitted this document for the UN Human Rights Council’s Universal Periodic Review (UPR) of Colombia in May 2018. The document includes an analysis of the implementation of recommendations made to Colombia during its previous review in 2013. 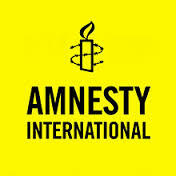 Amnesty International also reports on the situation of human rights defenders, violence against women and girls, violations of the rights of persons with disabilities and the rights of victims of the armed conflict.